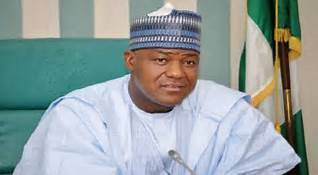 Mr. Dogara said it was part the reasons that he defected from APC to the Peoples Democratic Party (PDP). The speaker spoke at the Wadata House National Secretariat of the party while submitting his Nomination and Expression of Interest Forms, in Abuja Thursday. “They are not all devils, there are wonderful people in APC but they are equally some people who have what I will call a rebelliously wayward sense of entitlement and these really are the problems with the APC. “When it serves their interests, they say the party is supreme, when it doesn’t serve their interest, they castigate the party, including the leadership of the party. These are people who are the lords of the family; they do what they will while others are required to do what they must and, in such environment, really, I am disabled. We have a lot of bouncers in the party, these are the bouncers,” Mr. Dogara said. “For me, I knew that I was in a situation where I had a very seared conscience. Even when a lot of people were happy with me, but I can tell you that I would rather be hated for who I am than be loved for who I am not. He also noted that the APC’s initial agenda of bringing positive change to Nigeria had been thwarted by its leaders. “For some of us who are here who are wondering, because it has been said that I cannot move from where I was to, perhaps, any other political party, that discussion has been ongoing, so today’s event marks the end of all speculations. “To begin with, I was a founding member of this party, which is what a lot of people do not know. I worked with Professor Yohanna Madaki of blessed memory, as a junior counsel, and we helped to put together the first PDP Constitution. For anybody who doubts that, I have the rough working sheets with me today, I can produce it. The speaker also lamented that in his home state Bauchi, the party has failed to deliver on all the promises made by him and others who campaigned across the state for the governor to be elected. According to him, only those who have lost their conscience will support the current order in Bauchi State because APC has not fulfilled a single promise made in 2015, with the situation on the national scene not much different. “Well, I do not want to be a prophet of lamentation. I am not known to be lamenting too much but everybody know where we are, particularly in Bauchi State, all the stakeholders are here. It will take someone who has lost his conscience to still support the order that is in the state. I was part of the people that built the APC in the state, I went round the state campaigning for the APC and I can tell you that we have not fulfilled a single promise that we made. “Nationally, we all know what is happening. I will speak to that, maybe, in another occasion I will tell my story in a way devoid of sentiments, so that the people can clearly understand the reason why I am taking this decision that leads me to the PDP today, and I will certainly do that. But permit me to say that in the APC that we are leaving, they are not all devils, there are wonderful people in APC but they are equally some people who have what I will call a rebelliously wayward sense of entitlement and these really are the problems with the APC. Mr. Dogara dared anyone who has boasted of retiring him from politics to meet him on election ground at Bogoro/Dass/Tafawa Balewa Federal Constituency. The speaker was accompanied by former FCT minister, Bala Mohammed, former Senator, Abdul Ningi, Senator Adamu Gumba, 20 Bauchi PDP LG chairmen, scores of House of Reps members, and hundreds of his supporters and constituents.